The family unit is truly a beautiful thing. No matter what kind of family unit you have, it is a huge component of your life. Unfortunately, just like any relationship, family relationships can become strained. Families are complex. Each individual brings their own set of emotions, needs, and wants to the unit as a whole. Ideally, family should be there to bring out the best in one another, to strengthen each other, and to help each other through tough times. Sometimes, though, the opposite happens. Sometimes our families bring out the worst in us. If you are facing a rough patch with your family, please reach out to our team. 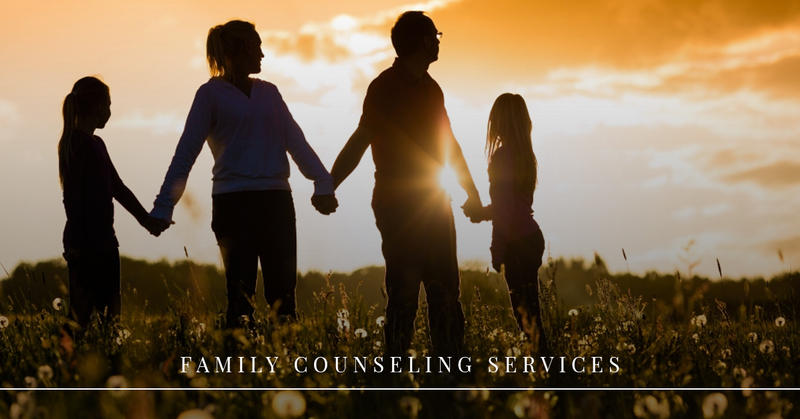 We provide custom tailored family counseling in Oklahoma City for any family type. Whether you are a single parent struggling to create a healthy environment for you and your kids, you are a husband and wife with a single child, or you have your own unique family structure, we are here to help you. Squabbling Siblings: Do your children seem incapable of getting along? While it is normal for siblings to have arguments, it can become an issue if the battles seem unending and resolution seems impossible. Children often lash out at one another when there are other underlying issues at play. Our staff is adept at working with kids of every age. We can work with your children to develop stronger communication skills, healthy outlets for frustration, and catalysts for healing. Sometimes as a parent you are too close to the situation to be able to identify why your children cannot build a healthy environment with one another. Lack Of Communication: Does your entire family unit seem to lack the ability to communicate with one another? Does conflict end in emotional outbursts or do you all practice passive aggressive tactics? Learning to communicate in a healthy way as a family unit is an important factor in creating a healthy environment for everyone. Each person in the home should feel valued, respected, and safe. We can help parents learn to communicate better with one another and with their kids. We can also help your children learn how to be heard in a respectful manner by all adults in the home. Blended Families: Bringing two family units together can be a beautiful thing. Stepparents and stepsiblings do not need to reflect the stereotypical and negative connotations many old movies and books have built. We can help families who are transitioning from two family units into one. By starting out on the right foot with respectful communication skills as your foundation, a blended family can truly be a beautiful and special unit. Please reach out to our team to learn more about our family counseling services. We can help you with a large range of issues. We tailor our family therapy to fit your family unit’s specific needs. For effective and caring family therapy in Oklahoma City, schedule an appointment today at Affinity Counseling Services.